We are looking for sponsors (both corporate and individual) to help us with the upkeep and care of the countless animals who visit and stay at our shelters. By sponsoring a kennel/cattery/nursery, you are helping us save more lives. You may combine donations with your friends, co-workers, family – however you want to do it. 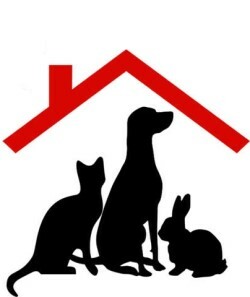 Your donation will be used for the care of all the dogs, cats and other animals who are accommodated in your sponsored kennel, cattery or nursery and for the maintenance of the same during the year. In acknowledgement of your generous support, we will place a plaque, printed with your name and/or message (e.g. “In memory of …”) in the respective area. Acknowledgements of the sponsorship will also be published on our website. Due to shortage of staff and volunteers, we will not be able to send you updates of the animal(s) occupying the respective kennel or cattery/nursery periodically, however, upon request, we are happy to send you relevant updates. To be a sponsor, please print out and fill in the sponsorship form and mail the completed form and accompanying cheque (addressed to ‘Persatuan Mencegah Kezaliman Terhadap Haiwan Sandakan, Sabah‘) to Lot 18, Block 3, Light Industries Areas, Mile 2.8, 90000 Sandakan, Sabah, Malaysia. After becoming a sponsor, feel free to visit your kennel, cattery or nursery and its temporary occupant/s during the shelter’s opening hours – or just keep in touch through our website / facebook for stories of successful adoptions.